This isn’t the first time the NCC has fined TELCOs. This time around, the commission vowed to impose N5m fine if they auto renew customer’s data plans without permission. The Nigerian Communications Commission, NCC, had on 21 May, 2018 issued a directive to all network providers to desist from imposing any value added services (VAT) on the subscribers without their express permission. 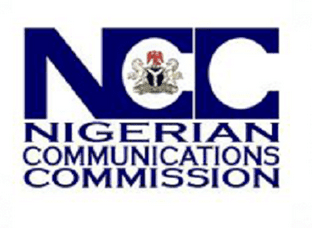 NCC explained that the complaints received by the Commission had risen to an unacceptable level that the Commission could no longer delay in issuing the directive against operators engaging in the unlawful act. Besides the N 5 million fine that awaits the violation of the law, he further explained that for every day that the commission issues the sanction and the fine was not paid by the service provider, it will attract additional N500, 000. ‘The Nigerian Communications Commission, NCC, on the 21 May, 2018 issued a directive to all network providers to desist from carrying out automatic or unwarranted renewal of data packages without their consent. We have also directed that no mobile service providers should impose their services to consumers. ‘It is expected that they should obtain their consent. There should be a written text by the network provider to the consumer requesting to know whether the consumer is interested in renewing the package, after that, the network provider must also repeat the process to ensure that the consumer understood the terms and conditions of the service and has given consent before automatic renewal. I do hope the telecom companie buckle up and stop ripping off subscribers especially Glo and Airtel that are fund of taking people’s airtime for SMS messages that are not needed.